Looking for the perfect excuse to combine breakfast and dessert? Look no further! We’ve partnered with Healthy Little Vittles to bring you some ooey, gooey Vegan Chocolate Chip Waffle Ice Cream Sandwiches! 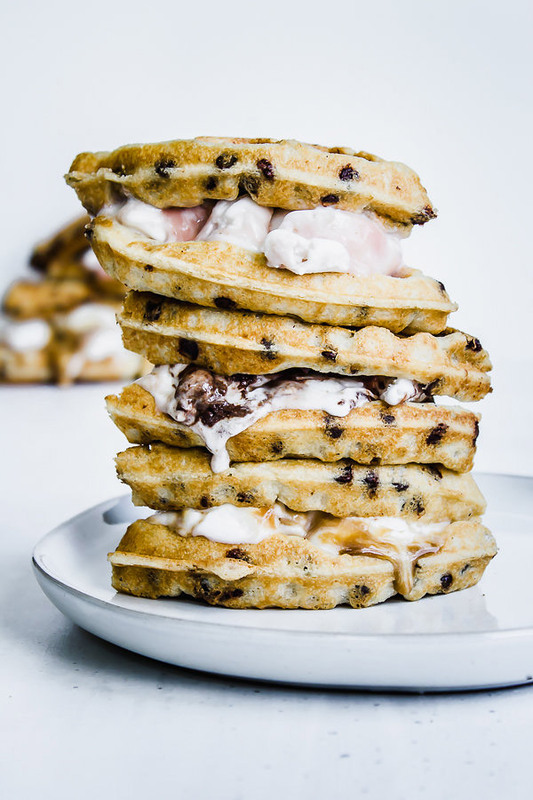 These breakfast inspired treats bring the best of both worlds: dreamy, fluffy waffles and rich, creamy “ice cream” that is naturally vegan, allergy-friendly and gluten-free. Bonus? You can munch on them any time of day, like the breakfast champion you are. Each nibble of these sweet, drippy, “get your hands messy” kinda dessert is so worth it. The talented Healthy Little Vittles crafted these dreamy treats, so you know they’re plant-based, gluten-free and one of a kind! 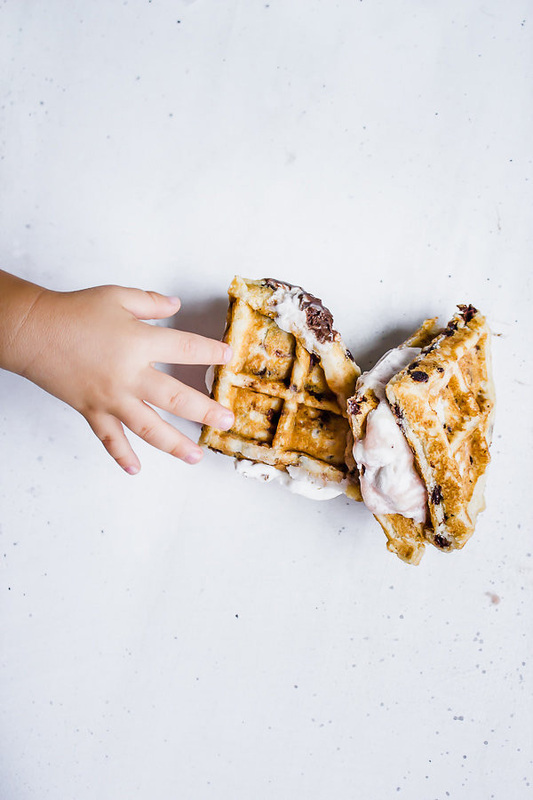 Nobody would guess that the Vegan Chocolate Chip Waffle Ice Cream Sandwich Recipe made with perfectlyfree® non-dairy ice cream is big 8 allergy-friendly. It’s a whole new take on a summertime favorite, but with way more character… and taste! Any one of our non-dairy ice cream flavors pair perfectly with a nice vegan chocolate chip waffle… let alone two of them! We love the idea shared to freeze leftovers (if there are any! ), or even make them for kids’ birthday parties as an allergy-friendly option for all. 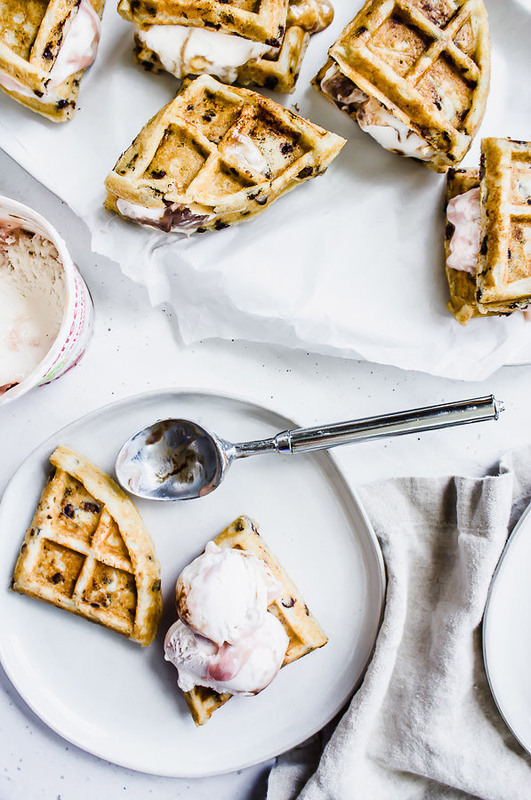 These gluten-free vegan chocolate chip waffle ice cream sandwiches offer a wonderful way to enjoy a real classic treat.